Find and book a better space to meet or work. We’re on a mission to help everyone reimagine workplace. To help you find a space that’s perfect for your personal style and needs. We know that the right meeting room or personal workspace makes a difference in helping you be more productive, host a creative brainstorm session or close a deal with clients. Our platform gives everyone access to the many great spaces that surround us, which is more efficient for each of us as individuals, for companies, and good for the planet, too. Mark is an experienced serial entrepreneur and one of the leading voices in the sharing economy technology landscape, supporting his vision of sustainable, mobile business practices. In his past, Mark has worked as a software industry veteran with 20+ years of experience at previous companies including Wyle, Altera, Toolwire and Venga Ventures. Nanci leads the design and execution of all business operations, venue onboarding & quality for a consistently exceptional member experience. Throughout her 30 year career, Anderson has led the design and execution of customer operations teams, corporate service strategies; services marketing programs, built service delivery methodologies and tools at top technology firms in the industry – Cognos Corporation, Lawson Software, and Concur (formerly Gelco Expense Management). Nanci has been an executive leader at several start-up organizations such as Net Perceptions, Kardia Health and Gearworks, building exceptional teams, driving revenue growth and delivering the highest quality service during early stage and accelerated growth. Jim is an innovative technology leader with experience delivering solutions for a wide range of enterprises like Target, Thomson Reuters, GMAC/Rescap, and Pearson Assessments. Previously, he has led teams creating internal, commercial, and shrink-wrapped software. Now Jim focuses his energy leveraging cloud techologies and mobile solutions to connect people with great spaces to work. At LiquidSpace, Jim leads our global development team delivering on our web and mobile strategies. Jordan is responsible for leading and growing North American Sales for LiquidSpace. Previously Jordan was Regional Director for CoStar in the San Francisco Bay Area and North Central California Coast where he led a team of 40 sales and research professionals building market performance from last in the nation to first in the region. Eric is the Head of Product at LiquidSpace. He leads the product and design teams in building the future of commercial real estate at LiquidSpace. Eric joined the LiquidSpace team in 2011 as one of the first employees, since then he has pioneered multiple roles responsible for supply growth, operations and product management. Designed to house about 50 people, the office was created to ServiceNow’s specifications by LiquidSpace, which also manages the property. It features collaborative workspaces in several forms. Given the increasing competition for space, co-working offerings are positioned by landlords as one option to help fill the void. LiquidSpace, a San Francisco-based platform for short-term office rentals, currently lists 845 workspace rentals at 80 different locations in Oakland. LiquidSpace makes it easier for companies that fear commitment. If a company is too small or too big for an office space, employees often turn to shared workspaces. LiquidSpace, a San Francisco startup, is an online marketplace that aggregates extra desks and offices that tenants can rent out on an hourly, monthly or yearly basis. Not all companies in the rentable workspace world model their business on owning and managing spaces to rent. LiquidSpace, for example, operates online and mobile platforms for users who want to use space and users who want their space used. Our answer to the flexible office void is altSpace – a design first fit-out solution that can transform essentially any commercial space into a turnkey office space within 60 days. More and more landlords are tapping into the “flexible” office space market, thanks in part to the success of co-working companies, industry insiders say. “The opportunity to provide flexible space has gotten large enough [that] it’s now on landlords’ radar screen,” says Mark Gilbreath. Work-life balance is one of the most important factors in determining employee engagement and satisfaction. LiquidSpace expands altSpace program for flexible workspaces across the U.S.
altSpace is a service that seeks to reinvent how office spaces are designed, set-up and occupied. Flexible Workspace Designed and Delivered: LiquidSpace Expands altSpace Program Across the U.S. Securing creative office space just got a lot easier for growing companies and enterprises alike. LiquidSpace, the leading network for flexible workspace solutions, announced today the national launch of its altSpace program, a flexible office solution for growing teams of 10-200 employees. altSpace combines curated office fit-outs with LiquidSpace-approved landlord and partner spaces, enabling companies to move into a new office tailored for their team within 60 days and stay as long as they like on flexible terms. The altSpace program is now available in major markets across the US, including the San Francisco Bay Area, New York City, Chicago, Los Angeles, Boston, Dallas, Washington D.C., and beyond. LiquidSpace’s latest innovation could change the future of tenant improvements. The altSpace program allows tenants to curate a new office (such as above) with LiquidSpace-approved landlords and partner spaces. We are in the midst of a new age of revolution that is creating sweeping changes across all layers of society. 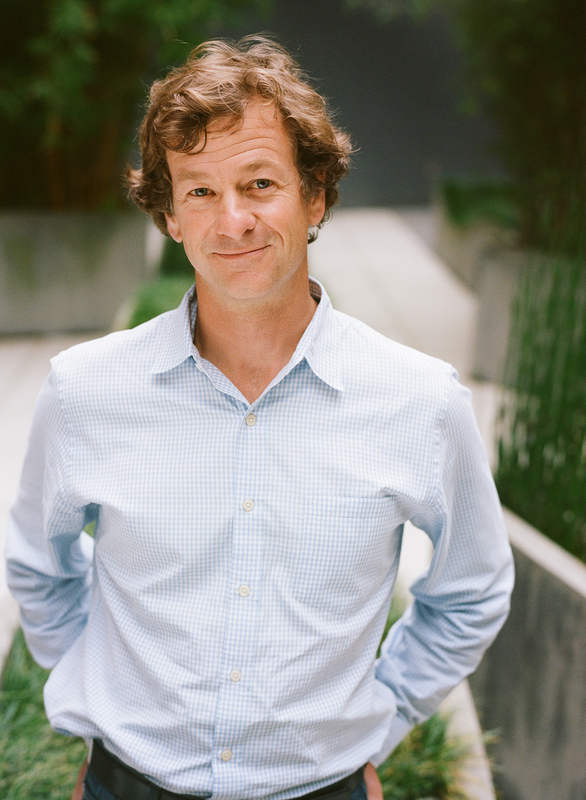 Mark Gilbreath takes the principles which enabled the meteoric rise of such services as Uber and Airbnb, and applies them to office space in order to revolutionize how and where we work. The traditional leasing model is not going away, but brokers routinely explore alternative and flexible workplace strategies such as LiquidSpace for occupier clients, such as the recent Salesforce sublease. Salesforce.com partnered with real estate service and shared office firm LiquidSpace to move its new office to the Centrum. Mark Gilbreath is a thought-leader focused on disruptive technology and the future of real estate. "Since its first transaction in 2011 for a marketing consultant in Palo Alto, LiquidSpace has provided a platform for startups, large teams, brokers, building owners and architects to rent or lease space for a few hours, weeks or months. It’s basically the Airbnb of the office world...Not only has LiquidSpace helped small startups, it has found space for large, established companies, including Accenture, AT&T and Whole Foods. Requests range from individual desks to office suites. LiquidSpace will continue to focus on enterprise members as part of its growth strategy through the end of this year." Demand for flexible office solutions continues to accelerate rapidly, shifting towards the fastest growing professional community – Generation Z. The first generation to grow up with the sharing economy and collaborative consumption, Generation Z employees are digital natives, demanding real-time experiences and on-demand solutions. From transportation to food to real estate, these young, mobile-first professionals expect employers to provide alternative workspace environments and flexible schedules. They’re anxious to escape the bland, uninspired walls of traditional office cubes and experience dynamic workspace in one of a vast range of Third Place solutions. Mark Gilbreath the Founder and CEO of LiquidSpace, the largest real-time network for office space again joins Enterprise Radio. Listen to interview with host Eric Dye & guest Mark Gilbreath discuss how LiquidSpace has grown. The LiquidSpace market network has entirely reimagined the commercial real estate model, which hadn’t changed in more than 50 years. Traditionally, occupiers get locked into long-term lease agreements, with five to ten+ year commitments for a fixed amount of space. Yet startups and growing teams can double, triple, or even quadruple in size within a matter of months. Even large enterprises are shifting the nature of their work, seeking flexible workspace solutions for satellite teams, offsite events and short-term projects. With LiquidSpace, customers can now find and book both short-term and ongoing spaces, without the hassle of a lease. LiquidSpace, the largest real-time network for office space, is pleased to announce the appointment of Mark E. Rose to its board of directors. Rose is chair and chief executive officer of Avison Young, the world's fastest-growing commercial real estate services firm. The appointment, which comes on the heels of a significant growth announcement made by LiquidSpace earlier this month, will serve to drive the network's accelerated growth and strategically reinforce the company's evolving role within the real estate community. Can startups plying their trade in the short-term office market enjoy the same success that Airbnb has in the hospitality sector? In Manhattan, they’re certainly trying, with firms like LiquidSpace and PivotDesk hoping to make inroads with corporate tenants and large landlords. As WeWork Rises, So Does The "Airbnb Of Office Space"
When PricewaterhouseCoopers (PwC) recently modernized the majority of its 83 U.S. offices, it added more common space and made each office smaller, reducing the space per employee by 30%. "More and more we are a virtual company," says Toni Cusumano, a principal in the company’s global human capital practice. "People don’t go into our offices the way they used to. We’ve shifted down." Will Popularity of On-Demand Office Providers Bring on “Peak Office”? Sustainability and social networks are transforming the way the real estate industry operates, according to Mark Gilbreath, CEO of LiquidSpace, a provider of on-demand office space operating in the United States, Canada, and Australia. In a keynote address at the recent ULI Europe Conference in Paris, Gilbreath said that these two factors are driving a major economic revolution. We live in a connected world. A world that continues to evolve and advance, presenting marketers and brands with an ever-changing landscape of opportunities and challenges. Adobe presents its first ever "Think Tank." Hosted at the beautiful Exploratorium in San Francisco, California, industry luminaries gather to discuss all things IoT and its impact on brands and consumers. Currently, leases of less than 5,000 square feet represent the majority of US office space transactions. More than 10% of all commercial office property sits vacant and hundreds of millions of square feet go unused in offices annually, with startup teams of one to 50 people typically needing such space between 100 to 5,000 square feet. Mr. Gilbreath, 48, is the founder and chief executive of LiquidSpace, an online booking platform that offers short-term work and meeting spaces nationwide as well as in Canada and Australia. The company, based in San Francisco, opened for business in 2011. LiquidSpace, the world's largest marketplace connecting people with flexible workspaces, announced today its first set of integration partners using the company's new API. The LiquidSpace API enables venue management systems and other workplace service platforms to easily plug into LiquidSpace and enjoy real-time integration with its online marketplace. Alasdair Ross of The Economist interviews Mark Gilbreath, founder and CEO of LiquidSpace, at an event hosted by Juniper Networks. LiquidSpace is the largest online marketplace for on-demand workspace. LiquidSpace just marked its one-millionth transactions and announced $14 million in additional funding. That capital will be used to continue its growth as a “real-time marketplace”—i.e., a search and booking Web site—for professional meeting space. A redesign allows site users to search by task and find spaces ideal for board meetings, brainstorming, sales meetings, training, and more. The site lists more than 5,500 spaces in 600 cities in U.S., Canada, and Australia. LiquidSpace, the largest real-time marketplace for professional meeting and workspace, announced today it has raised $14 million in Series C financing. The round was led by Roth Capital with participation from Shasta Ventures, Black Diamond Ventures and Lucas Venture Group as well as strategic investors in the commercial real estate sector including Avison Young, GPT Group and Steelcase. LiquidSpace, an online marketplace for ad hoc meeting and workspace, has raised $14 million in venture capital, it announced today. The funding -- led by Roth Capital, with participation from Shasta Ventures, Black Diamond Ventures, and Lucas Venture Group, as well as Avison Young, GPT Group, and Steelcase -- will be used to extend its product capabilities and "aggressively scale on its success." Meet my friends Joanna, Jo and Brenton, and Beth. They really helped me out on my recent trip to Denver. Joanna lent me her car. Jo gave up his room and crashed in Brenton's room so I would have a place to sleep. Beth invited me for a lovely dinner. Court reporters are increasingly turning to NCRA Convention & Expo sponsor LiquidSpace, the leading online marketplace for finding and booking flexible office and meeting space, to book rooms for legal depositions. Hotels fastest growing on-demand office space in U.S.
LiquidSpace, an online marketplace for finding and booking flexible office and meeting space, shared today that the supply of hotel workspaces on LiquidSpace has grown 1060% in the past year and now makes up one third of all the flexible workspace across the U.S. available on the platform. All of these consumer-facing market places - Uber, LiquidSpace, oDesk and others - will profoundly affect the enterprise. Enterprise IT organizations will be a central stakeholder in each of these transformations, just as they were with the Virtualization of IT. Some like LiquidSpace are packaging and hardening their platforms for enterprise adoption, addressing the unique security, governance and financial requirements of corporate use. Need to Rent an Office On the Fly? Try This App, the Airbnb of Work Spaces. In this video, Scott Gerber, a New York City-based serial entrepreneur and angel investor, shares what he likes most about LiquidSpace. He talks about how the app works and why he uses it when he travels for business, something the Young Entrepreneur Council founder does about two weeks out of every month. Who plans your “micro” meetings? No one? LiquidSpace would like to bring these smallest, on-the-fly meetings into your corporate meeting and travel management program while making venues so easy to book and buy that the whole process can be off your plate while still under your control. To honor National Small Business Week (May 12-16), and to recognize business travelers who take their work on the road, Expedia.com(R) , the world's largest full service online travel site*, has collaborated with LiquidSpace, the leading online marketplace for finding and booking office and meeting space by the hour or day, to provide small business travelers with an exclusive offer of one free meeting space rental (a $100 value) at one of the 5,000+ flexible workspaces available through LiquidSpace. Although it remains a highly fragmented industry, companies catering to the demand for co-working or shared office spaces are continuing to expand and add more services to appeal to today’s workers on the go. If you really want to elevate your game, here are seven more apps that will not only help you get the most out of the event — but also dazzle the people you meet who may not have heard of them before. Most of the now household names in the sharing economy seeded their explosive popularity by providing consumers with convenience and an irresistible end-to-end experience. Night out on the town? Tap Uber. Wanna go native on that weekend in Paris? Tap Airbnb. Bloodied your knuckles trying to assemble that new desk? Tap TaskRabbit. However, for many of these addictive services their greatest impact may yet be the disruption they drive within large enterprises. As work becomes more flexible and communication more mobile, the office is turning into an increasingly complex and even abstract concept. As we look to the future, we have to ask: Will the workplace be on-site at our employer’s property, or on-demand at a collaborative space? Or will work simply be a mindset independent of place or time of day? Jones Lang LaSalle is launching a new service called Space Exchange(TM), powered by LiquidSpace, that enables companies to expand beyond their boundaries. Space Exchange applies the proworking approach through services that assess workforce space requirements; align people and venues; make underutilized space ready for productive use; connect corporations with a vetted network of professional locations outside of a company's portfolio; and manage those locations on an ongoing basis. Now, Steelcase has acquired an interest in LiquidSpace, the San Francisco startup that has created an online marketplace for on-demand workspace available by the hour and day. LiquidSpace operates in more than 250 U.S. cities and offers more than 2,000 workspaces and meeting rooms. Just as SaaS has emerged as a dominant new force in enterprise software, mobile apps will offer innovative new capabilities and business models – and disrupt many old ones. Ever since Starbucks had the business acumen to make free WiFi as defining to its brand as "grande frappucinos," workers have delighted in leaving their offices in favor of brighter, more caffeinated workspaces. As the traditional office undergoes a global demise, hotels are starting to change their function to accommodate the new wave of mobile workers. "From a corporate perspective, signing a five- to ten-year lease for an office building is a completely broken model," notes Mark Gilbreath, the founder and CEO of LiquidSpace, a kind of matchmaking platform that links displaced workers with rent-by-the-hour offices. The surge of transient workers, he contends, is not merely a function of increased technology (though that has made it possible), it is also something being driven by companies. Consumer-to-consumer (“C2C”) marketplace startups are enjoying a Renaissance, as exemplified by Airbnb and others. Sites like these that facilitate transactions between people have disrupted older offline business-to-business marketplaces by taking advantage of ubiquitous mobile access, and delivering a better experience. It’s out there, though it’s not easy to see: Empty desks, vacant conference rooms, unoccupied office parks. Over the past 30 years, the U.S. has added about 2 billion square feet of office space to its existing stock, most of which today’s highly mobile workforce no longer needs, at least not as a permanent home. That vast built environment now inhabits the American landscape like a massive untapped natural resource. But no need for fracking. A startup called Liquidspace has turned to the core technology of the sharing economy, the app, to surface that hidden reserve. A little over a year ago, when we took our first look at LiquidSpace it was just a few months old, and mainly focused on helping individuals like freelance consultants book short-term office space while they were out and on the go. So, very much a collaborative consumption startup, which it remains today. But the company has taken some major steps to expand its service to the point where major companies like AT&T and Accenture are using it internally, and Marriott is testing a “workspace on demand” program using the LiquidSpace platform. An Australia-based real estate investment trust has led the third round of venture funding for San Francisco-based LiquidSpace Inc., a real estate-centric start-up that has created a virtual national market for short-term users and suppliers of space. If it feels crazy out there, that’s because it is: we are in the midst of an economic revolution. so. AN UNSOLD airplane seat or hotel bed burns its owners' money. Airlines, hotelliers and others with similarly perishable offerings have thus long since turned to yield management, where tweaking prices and other variables is meant to maximise earnings by ensuring that all places are sold for the highest possible fee. Now a start-up firm wants to bring some of that efficiency to co-working. LiquidSpace provides software, credit-card processing and back-office services to the many thousands of existing venues that provide desks, meeting rooms and private offices to freelancers and virtual companies that lack a central headquarters. The company's aim is to reduce the marketing friction to bring new and returning customers in and fill empty seats. I travel frequently for story assignments. When I do, I have a hard time finding good places to work. Holing up in a hotel room is dull, and coffee shops tend to be noisy and ill suited for meetings. So when I read about a new crop of websites designed to help you find a temporary workspace, I was eager to give one a whirl. I researched a handful of options, including LooseCubes and OpenDesks, before choosing LiquidSpace, which seemed to have the most features, including a mobile app. The free service launched this spring and is available in about a dozen cities nationwide, including San Francisco, Boston, and Miami. LiquidSpace and the LiquidSpace logo are registered trademarks of LiquidSpace, Inc. Other trademarks may be trademarks or registered trademarks of their respective holders.